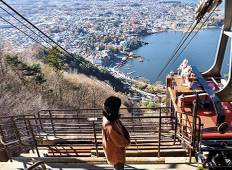 Find the right tour for you through Nagano. We've got 16 tours going to Nagano, starting from just 5 days in length, and the longest tour is 15 days. The most popular month to go is October, which has the most number of tour departures. "Hokkaido tour , the hotels & meals, our tour guide being very helpful & knowledgeable..."
"Amazing tour with everything you need to see in Japan included. 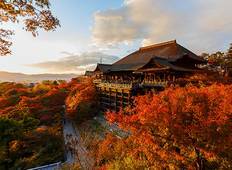 Transport, guides,..."
"This is our 2nd trip with Japan Deluxe Tours. Our kids enjoyed the first trip and..."
"Great arrangements of the trip, gives detailed information on the culture and the..."
"First and foremost, Yasu is the best guide my wife and I have ever had on any small-group..."